I can't remember the last time I read a novel like The Five. 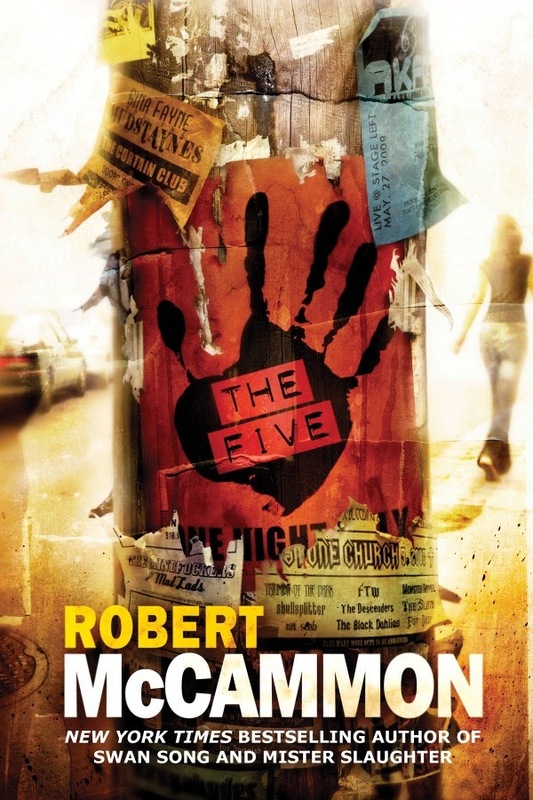 And for my money, it's Robert McCammon's best book since Boy's Life. McCammon's horror novels of the '80s were great: he gave us Amazon women who slaughtered men by night in a remote Pennsylvania village; city-slicking vampires running over Los Angeles; the descendents of Poe's Usher family; a Russian werewolf infiltrating Nazi Germany. But in the '90s he broke the mold. First with Boy's Life, a coming of age story so literary it deserved Cliff Notes, and still does. (Think The Adventures of Tom Sawyer meets The Prince of Tides meets the author's unique elements.) Then with Gone South, a throttling page-turner about a man on the run from a tragic mistake, yet moving toward a weird redemption without knowing it. Like these latter efforts, The Five resists genre-labeling and contains moments transcendent enough to read like classic literature. So what's it about? A dirt-poor indie rock band (called The Five, three men and two women), drive around in a van and play gigs across the southwestern U.S., chasing dreams of success. They finally get exactly that, but at a nasty price when a crazy ex-Marine sniper starts picking them off for comments made by the lead singer about soldiers in Iraq. Suddenly the band's concerts swell in proportion to the media vultures, and with the fame comes devastation. It's a nail-biter punctuated with slow pauses and soul-searching, both parts just as hard to put down. The narrative is saturated with the author's love for rock n roll. It's no mean feat to make a reader "hear" music off the page, yet that's what I was doing -- crafting my own mental jams and drawing on textures from favorite bands. (You'll make your own associations, but I imagined The Five as sounding grungy like The Smashing Pumpkins and searing like The Walkmen.) This was especially true for the signature song written by all of the band members instead of the usual two: it takes on a curious life throughout the story, as it's born of harrowing events and each band member finds his or her muse at the oddest, eeriest moments. There's even some of the supernatural in The Five: it appears unexpectedly and with enough subtlety that you're never quite sure if there is something ghostly or psychological going on. But for all its terrors, The Five is ultimately about the enduring power of music and the feverish creativity of artists. It's a brilliant story, and one I'll be reading again at some point.